Bench Scales Acculab SVI Series are ideal for basic applications in industry and shipping. With weighing capacities of up to 200 kg and two platform sizes, this series has everything you ever wanted. 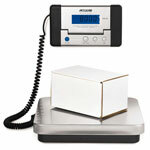 All models come with a remote display, making it easy to install the scale wherever it is needed. The “Autolast” (auto load) function enables highly stable weighing results. The display is adjustable and has a backlit readout for optimum readability. The RS-232 data interface is a standard feature and provides connectivity for a printer and a PC. Here you will find the best load cell, all models all brands, are highly efficient and long-lasting products because we reserve the best materials just for you. All our Bench Scales Acculab SVI Series are guaranteed. Bench Scales Acculab SVI Series are one of the best on the market this days. What are you waiting for ?